If you’re one of the three million people in the US with epilepsy, the big news of 2018 was that the Food and Drugs Administration (FDA) approved Epidiolex® for the treatment of two specific types of the condition – Lennox-Gastaut syndrome and Dravet syndrome. As you might expect, there’s a big difference between some store-bought medical marijuana plants and a pharmaceutical-grade cannabidiol extract made in a laboratory. Is the correct Latin name for the plant. It’s the one which your doctor or pharmacist – as well as any botanists you happen to know – will probably use. Is a common term used to refer specifically to the leaves and female flowers of the cannabis plant. 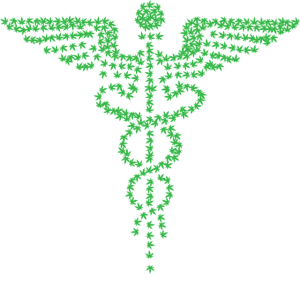 The term “medical marijuana” is generally what people say when they mean they’re using the entire plant – or part of it – for medical reasons. Although it may be prescribed by your physician for numerous conditions and symptoms, using the unprocessed marijuana plant is not what the FDA has approved for epilepsy treatment. In fact, medical marijuana is not currently approved by the FDA at all. Cannabinoids are a class of chemical. They act on chemical receptors in your body and alter neurotransmitter release in the brain, creating a wide range of effects. Also called THC: This is the chemical in the plant which gets you “high”. That is to say, it has a psychoactive effect. Otherwise known as CBD: This chemical has no psychoactive effect. This is the cannabinoid which recent research has shown may have some positive effects on some of the systems of your body. The American Epilepsy Society (AES) is taking big steps to point this out at the moment. Medical marijuana is a plant with over 500 compounds inside it. One of those will almost certainly be CBD. But when you buy it from your local store, it’s not always easy to know what you’re getting. Different strains of medical marijuana will contain different levels of each compound. Medical-grade CBD on the other hand, is a marijuana-derived chemical, a purified product manufactured in a laboratory. It will be strictly measured and tested. It’s not the same as the CBD oil you can buy over the counter either. These are unlikely to be strictly measured to see how much CBD they actually contain. Should I Take Indica or Sativa for Epilepsy? Cannabis indica and Cannabis sativa are two different strains of the cannabis plant. Whether they are truly two different species is a matter of debate in some botany circles. Whatever the truth may be, making your choice between medical marijuana strains for epilepsy isn’t something you need to worry about. Neither strain has been approved by the FDA in its raw form. Again, it’s medical-grade CBD oil – a derivative of the plant – that we’re talking about here. Is Medical-Grade CBD Oil Safe? There is a large amount of anecdotal and small-scale clinical evidence supporting the use of CBD in relation to seizures. However, up until recently, federal regulations – and the cost – made it very difficult to test its effects in a large-scale trial. Drop seizures were reduced by around 40% in sufferers of LGS who trialed the drug. 43% of the people with Dravet who trialed the drug experienced a greater than 50% drop in convulsive seizure rate. Only seven people out of the one hundred and fifty in the first trial chose to stop because of the side effects. Epidiolex® and other uses of medical marijuana oil for epilepsy which may be developed in the future are unlikely to be magical cures. But, for people who can’t rely on other seizure medications, they could be a godsend. They’re not “more” effective than other anti-epileptic drugs (AEDs). But they do offer a potentially very useful alternative to AEDs for sufferers of Lennox-Gastaut (LGS) and Dravet, two types of the condition which are known to be resistant to regular medication. The fact that Epidiolex® achieved FDA approval – the first-ever drug to be approved to treat Dravet syndrome seizures at all and the first approved derivative of medical marijuana for epilepsy in children (the approval was for children over two years old) – is a sign that CBD oils may offer a solution for many sufferers. It’ll be exciting to see if this leads to further breakthroughs in the future.